The Long Island Rail Road may be best known for the day-to-day drudgery of transporting thousands of commuters to and from their 9-to-5 (plus a few unruly, inebriated passengers). But the LIRR’s 700+ miles of track across a far-reaching sandbar aren't there just for all work and no play. The extensive rail system also connects to some of the greatest (and close-to-NYC) excursions the Island has to offer, from beachfront vistas to charming small towns. And when you're visiting the myriad wineries, breweries, and cocktail bars available, it’s also one hell of a designated driver. So think outside the five boroughs and let the LIRR pilot your next day trip. It’s home to the grand finale of horse racing’s prestigious Triple Crown, but the race track at Belmont isn’t only worth visiting for the Belmont Stakes. In fact, it’s a much less crowded and laid-back day out during any other race day of the year, from May-July and September-October. Just be sure to check the race schedule before you plan (trains only run on race days), and bring a cooler of beer, a picnic lunch, and a blanket to spread out on the trackside lawn (oversized Kentucky Derby-style hats are optional, but encouraged). 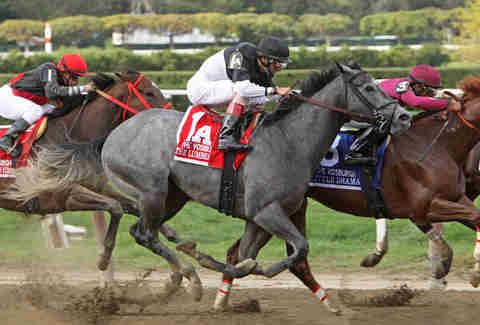 If you’re feeling especially confident, you can even try your luck at selecting a winning horse. What was once a sleepy village is now a vibrant, youthful Downtown community. Somewhere between the feeling of a charming small town and an exciting city, Rockville Centre offers a huge number of restaurants, bars, and local shops, all within a short walk of the train station. Start the day off with your caffeine of choice at Kookaburra Coffee on N. Village Ave, a local institution with baristas skilled in both espresso drinks and latte art. For food, the possibilities are endless. Interested in a gastropub with a great tap selection? Stop by Parlay for burgers or Croxley's for wings. If house-smoked barbecue sounds better, check out The Smokin’ Rib. If you’re staying into the night, make sure to channel the Jazz Age, Gatsby-style at the new speakeasy Cork and Kerry. Unlike similar gin joints in the city, you won’t have wait hours outside just to get in the door and receive the side-eye from pretentious staff. Not many beaches on Long Island are a short walk from the train, which is why Long Beach is such an asset. Add in the fact that there are plenty of neighboring restaurants and bars to enjoy after a day in the sun, and you’ll find one of the most lively beach communities on the Island. For those who get bored lying in the sand all day, Long Beach is also a fantastic place to learn to surf. Surf2Live offers lessons for all levels of learners (plus, the waves on this stretch of sand tend to be kind to beginners). 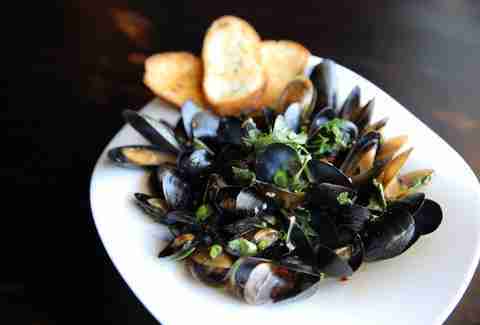 After working up an appetite, it’s worth the walk over to W. Beech St for dinner at Lost & Found. Chef Alexis Trolf prepares unexpected dishes like venison tartare or puffer fish while chatting with guests from his open kitchen. Another example of Long Island’s many engaging Main Streets, the tiny, yet entertaining, Downtown of Farmingdale is home to several notable eating and drinking destinations. The Rolling Spring Roll may be the best spot on LI for Vietnamese pho -- the massive, steaming bowls of noodle soup that will surely cure whatever ails you. A few doors down, Lithology Brewing Company is one of the newest additions to the craft beer scene, and serves up samples in its tasting room daily. For a literary lunch, the Library Café takes a storybook setting (the former public library) and fills it with a pub-like menu and an extensive cocktail assortment. 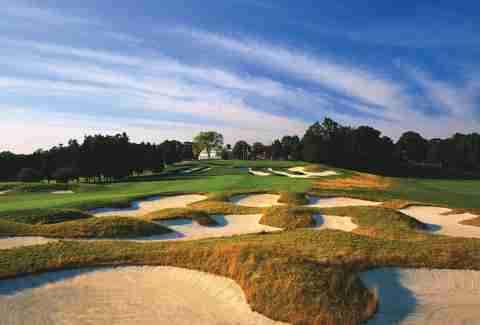 As a bonus for avid golfers, Farmingdale is also home to the Island’s most famous pro course, Bethpage Black. If you’re looking to spend the morning playing the same course as the PGA greats, tee times can be reserved in advance, and the course is only a five-minute cab ride from the LIRR station. 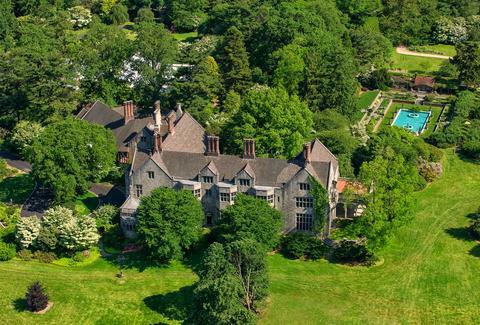 A former Gold Coast estate, this 409-acre site offers a glimpse into Long Island’s golden age. Planting Fields is home to Coe Hall, a Tudor Revival mansion, surrounded by all of its formal gardens, extensive hiking trails, and greenhouses filled with a huge variety of flora. 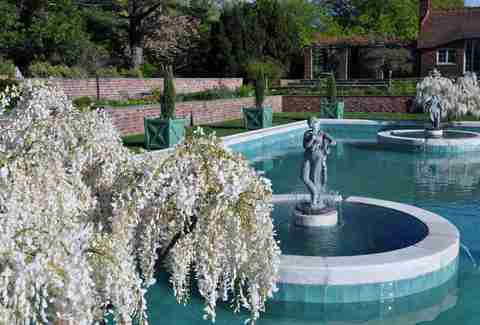 Tours of the lavish, turn-of-the-century estate, as well as of most of the various gardens, are available for five dollars. Wandering through the stately hedgerows among countless species of flowers and plants feels worlds away from the smog and traffic of city life. It’s like hitting a reset button for the afternoon. North Fork charm abounds in Mattituck, where cute, well-curated shops line Love Lane (yes, that’s a real street name). Lombardi's Love Lane Market and The Village Cheese Shop both stock delicious specialty food and tasty local finds in beautiful surroundings, only a block from the train. Love Lane Kitchen is also a village institution; locals and day-trippers alike flock to this neighborly cafe for breakfast served late into the day. If you only have time for a quick wine tasting, Roanoke Vineyards has a convenient wine bar right in the center of Downtown. 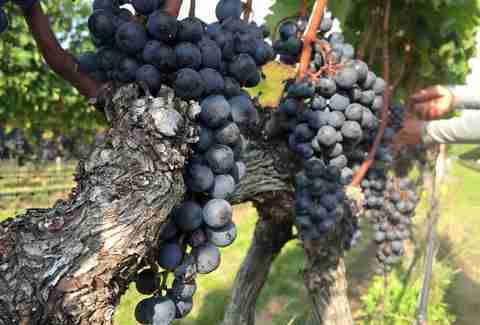 But if you want to explore LI’s wine country more in depth, East End Bike Tours on Main Rd offers a wide variety of peddling adventures to some of the North Fork’s favorite vineyards, many of which include picnic excursions and plenty of wine tastings. Let go of any preconceived notions about the Hamptons’ elitist attitude and stuffy all-white parties, because if you’re a fan of contemporary art, Bridgehampton is well worth a visit. 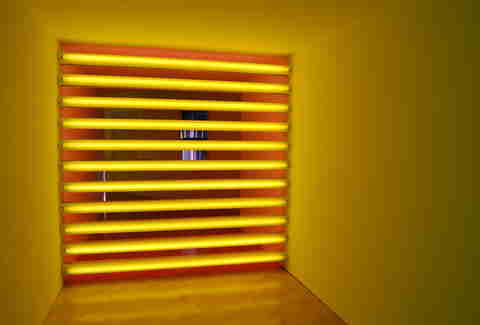 The Dan Flavin Institute, as part of the Dia Art Foundation, displays the illuminating work of this innovative contemporary artist known for his talent with light. Many of Flavin’s fluorescent light sculptures are housed here, in what was once a fire station. The colorful arrangements create a glowing environment that as much transforms the white walls in the room as it will transform the way you look at light. Afterwards, continue the art excursion into Downtown, where several galleries display intriguing local works. Finish your wandering with a visit to Round Swap Farm's store front on School St. The local produce, jams, and baked goods here are a product of nine generations of family farming, truly an art form in and of itself. Kate Traverson is a writer and editor living on Long Island, whose daily LIRR commute involves plenty of reading time interspersed with cat naps.